How to work in contemporary art today? The Triennial course Painting and Visual Languages aims to train professionals of the main so-called system of Art, by artists of every discipline to Curators, the event organizers, up to press officers and the Artistic Directors. The course focuses on the analysis of the key trends in recent art history, but also on the study of systems of economic relations, culture and society that characterize an ever changing industry. The practical disciplines and fundamental theoretical, is accompanied, in fact, the acquisition of tools Marketing, Communication and New Media, and finally of Art Economics. The curricular plan has three guidelines: Curatorship, Marketing & Communication and Contemporary Arts, which develops in particular the study of the elements of analysis and communication related to curating events, with specific focus on the drafting of critical texts, design and preparation exhibitions, communication and off-line, composition and realization of editorial products. After completing the course, the student can work as a Professional Artist, or play roles in the organization, communication and promotion of events in the field of contemporary arts at Foundations. Museums, Art Galleries, Printing and Publishing Offices with Art Director duties, Assistant Art, Art Register, Art Advisor, Art Critic & Curator, Event Manager, Marketing Manager, Press Office and Editor. 8 Design Ambassadors, 8 cities around the world, in partnership with ADI and the Italian government. Check all the details about IED’s contribution to the 3rd edition of the global event dedicated to the value of Italian Way of Life. The three-year course in Painting and Visual Languages, provides a good basic training and an adequate humanistic and scientific training in the field of production, organization and communication of the visual arts. In particular the activities of the course aim to develop a sound overall knowledge of the basics of the history of art - from the modern to the contemporary - and design methodologies and communication of the visual arts, from a plant to know the historical, literary and artistic culture which is the prerequisite for all appropriate specialist examination. The lessons aim to present the materials in terms of design and placing the system in connection with the dynamics and the new values that fuel the contemporary art market. The professional figure that emerges is that of a professional able to cover different roles within his aesthetic and social areas. Alongside the strictly artistic skills, students are encouraged to develop the ability to design and self-promotion, for ease of insertion on the market and critical awareness of their work. The courses are structured to provide adequate theoretical and practical knowledge for professionals in the so-called Art System (artists, curators, event organizers, press officers and Artistic Directors), with specific preparation, but sufficiently elastic, which can fulfill the communication and organization of artistic materials relating to contemporary art in 'area of the various departments involved in these tasks: museum institution to private gallery, from publishing to specialized libraries, from positions of responsibility and artistic-cultural competence of local authorities to the auctioneers, the art communications. One of the fundamental aspects of the course is its operating approach, to draw from all subjects of study a real training, flexibility to deal with the real problems concerning the various job opportunities. Career opportunities are extensive and range from real Curator to that of coadjutor in the organization public or private museum, the organizer and planner of artistic events to press officer and public relations, the coordinator of educational activities to support artistic events to the catalogs for exhibitions compiler, the curator of libraries and video libraries specialized in art to the editor for publishing and art magazines to the qualified consultant for conducting of private art galleries. The course also provides sufficient specific preparation for the start of self-employment relative to the areas mentioned above. During the three years the students will have the opportunity to participate in a wide range of laboratory projects and enter into direct contact with the artists and professionals of the art system. In addition, they participate in a series of interdisciplinary activities through lectures, workshops, seminars and exhibitions in order to produce meaningful patterns in contemporary art. He lives and works in Milan. Graduated in Sculpture in 1998, his studies continued through numerous workshops on the marble, ceramics, glass. Currently its activity is divided between visual arts and design, together with that of a teacher at the Academy of Fine Arts Aldo Galli of Como for the "Sculptural Techniques" course. From 2003 he began collaborating with the artist Veronique Pozzi, together presented sculptures, site-specific installations and interactive. Among Italians Egyptologists, Professor Angelo Sesana is Chairman of CEFB Egyptologist Francesco Ballerini Center, and is a professor of "Exploitation and management of sites and archaeological areas at the Academy of Fine Arts Aldo Galli of Como. It director since 1997 of the Italian archaeological mission on the temple of Amenhotep II in Thebes west - Luxor. 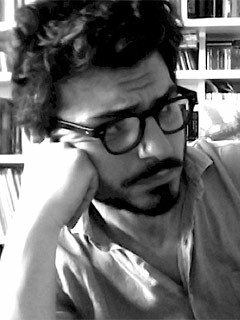 A graduate in Philosophy and Classics and specialized in Art History at the Catholic University of Milan. He has worked on medieval and modern art, art theory, history of criticism, ontology and aesthetics of the image, with particular reference to classical antiquity, and has taught Iconography and Iconology, History and Methodology of Art Criticism and Aesthetics Academy S. Giulia in Brescia. Today is professor of Theory of Perception and Psychology of Form Academy Aldi Galli of Como, also is an expert professor of Aesthetics at the Catholic University of Milan. Graduated in Contemporary Art Restoration in 2007, oversaw the preparations for the exhibitions in Italy by American photographer William Willinghton from 2006 to 2008. 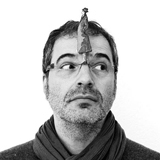 In 2009 he collaborated with the Gallery Milly Pozzi Como Art and has worked with several design studios in Lombardy . 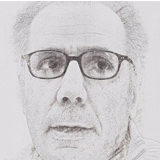 Besides being a teacher he has refined over the years his style in the hyper-realistic drawing, trying to overcome the details in the picture with graphite. Valerio Gaeti, Mantova 1951. Very young, he moved to Cantù (Como), where he attended the State Art Institute with a teacher like Giuliano Vangi. In 1974 he graduated in sculpture with Alik Cavaliere, at the Academy of Brera in Milan. To artistic research has supported its long teaching activities in schools that have seen student: First Institute of Canterbury and then at the Brera Academy, in the department of Design directed by Ugo La Pietra. Industrial Designer, following his passion for making design studies at the IED in Milan and concluding with the thesis in Light Design "Therapies of Light" . In 2008 she participated in the Master in Multimedia Communication realizing the communication plan for the "Start-up of a new design studio" . She completed his training by working for six years in two studies as Graphic Design, interior designer and exhibition designer. 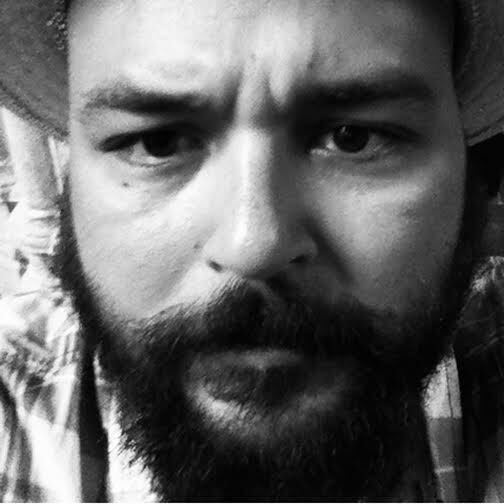 He works as a freelance designer since October 2009. From 2011 to undertake the teaching experience as a professor Event Design, Brand, Digital Design and Modeling at the Aldo Galli Academy and specializes Politecnico di Milano in Teaching assisted by new technologies. Painter and sculptor internationally established, is to design at the Academy of Fine Arts Aldo Galli of Como. In recent years he has dedicated himself to sculpture, preferring bronze and steel for public and private spaces. He collaborates with Como newspapers publishing articles critical of art and collaborates with Italian and European institutions and artists. 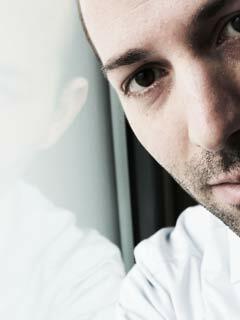 Roberto Pacella was born in 1978. He began his artistic studies at the Art School "A. Frattini" in Varese. He graduated in painting in 2005 at the Academy of Fine Arts of Brera, under the guidance of Professors Augusto Bernardi and Francesco Porzio. In 2009 follows a teaching degree in graphic and pictorial disciplines. 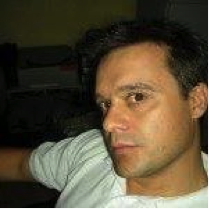 Since 2011 he is Professor in Humanities and Figurative Art History at the high schools of the province of Varese and Milan. "A work of art is good hath been born of necessity" Letters to a Young Poet, R. M. Rilke. Academic studies and a great passion for design: Monica Sampietro has a past as an art director and a present as a teacher at the Academy of Fine Arts Aldo Galli and owner of design agency for seson Rose events. Michael Rotondi was born in Bari in '77, he lives and works in Milan. He invited at the Prague Biennale (2009) and to a residence in London for the University Performance; exhibited in Berlin and Vlora in two collective (2010) to a collective project in New York for Scope Art Fair (2011) Italy-China Biennale at Villa Reale in Monza (2012); a solo exhibition in Mumbai, India, after winning a residence for the Laguna Art Prize of which he is a finalist (2013); another staff in Warsaw (2014). 2014 is the international collection Apt Global and Benetton. He has exhibited at the Fondazione Sandretto Re Rebaudengo for the art collection "Imago Mundi" of Bennetton (2015). Some books where there is his work: Italian Newbrow (Politi Editore, 2011), Brothers of Italy (Giunti Editore, 2011), Italy Laboratory - new trends in painting (Joan and Levi Publisher, 2007), Popism - l ' art in Italy from the theory of the mass media to social networks (Vallecchi Publisher, 2012), "Loveless- chaiher d'artistes" (Space Productions Meme 2013). Since 2009, he carries out a collective project, installative, the design called "I'm * Drawing !!!" from which a book was born in 2011. In 2016, an exhibition and a performance at the Museum of Contemporary Art Liss called "Red Noise". Today is professor of painting at the Academy of Fine Arts "Aldo Galli" in Como. Angelo Crespi taught History of Journalism at the Catholic University of Milan until 2013. In 2004 he published "Against Third page" (BvS editions). From June 2002 to November 2009 he edited the weekly The Sunday culture. 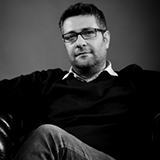 From June 2008 to March 2011 he has been adviser to the Minister for Arts and Culture Sandro Bondi. From December 2009 to February 2012 he was President of the MAGA, Museum of Modern Art and Contemporary Gallarate. 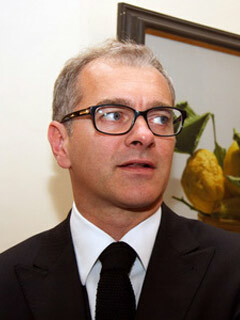 Since May 2011 he is president of the International Center of art and Culture of Palazzo Te in Mantua. 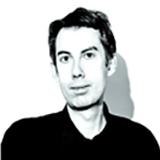 He currently works on pages "Comments and Opinions" the Corriere della Sera and the cultural pages of the Journal. In 2013 he published. "The Ars attack the contemporary bluff" (Johan & Levi publisher). Born in Milan in 1983. He lives and works in Milan. 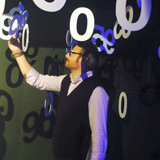 Professor of Communication and Journalism Details for various degree programs in Visual Arts and Fashion Design at the Academy A. Galli of Como and Event Planning and Management for the International Master in Arts Management IED Florence. Curator, cultural organizer and consultant in the field of creativity and artistic production. Coordinator of #piumusicalive national campaign for the facilitation of procedures for the production of performing arts. he was a consultant for the Performing Arts and has directed the design office the Office for Culture, Fashion and Design of the City of Milan (AA. 2011-2013). In the work two years for the Department he was mainly involved in research projects and policy development for culture, with a special dedication to the design of ex-industrial urban spaces dedicated to young creativity, to workshops and performing arts activities, He has contributed to the conception of initiatives throughout the national territory (City Piano, Chorus City and Book City). IT professionals in the telecommunications sector, has had decades of experience as a developer of client-server and web applications. In the last five years, he has been fascinated by the furniture industry and is dedicated to developing applications for mobile devices (mainly iOS). Has devoted to it much of his professional efforts with great suffering of friends and relatives more or less close. Throughout his professional life has had the opportunity to develop dozens of business applications in different fields: insurance, finance, banking and industry. The different experiences in the public and private sectors, have given him the chance to meet dozens of people professionally skilful. Today, almost reached the peace of mind, is the Project Manager for a leading Italian company in the computer industry. Born in 1977, he graduated in Modern Letters with historic address - art at the Catholic University of Milan where he also qualified as a teacher of the discipline. Professor of Art History at the Art School Luini Cantu and Medieval and Modern Art History and at the Academy Galli. 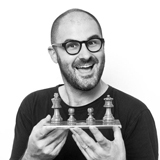 He collaborates with magazines and information sites regarding the cultural sector. Care is also the presentation of exhibitions of paintings and sculpture in the local area. 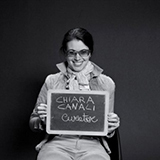 Chiara Canali (Piacenza, 1978) is an art critic, journalist and independent curator. PhD in "Human Sciences" at the University of Perugia. Creator and promoter of events and initiatives dedicated to the new trends in contemporary art, is active talent scout for young artists. She was editor of the Cairo Prize, the Premio Maretti - Valerio Riva Memorial, the Celeste Prize, the Premio Italian Factory for young Italian painting and is one of the curators of the Award-tutor Artivisive San Fedele. In 2010 she edited the second edition of the Sculpture Biennial Val Gardena in 2013 while working as a curator at BRERART project. 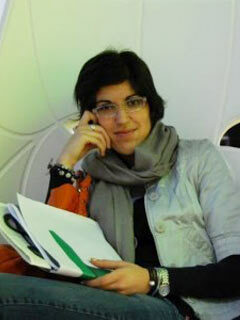 Since 2007 she is the curator of the cultural association Art Company (www.artcompanyitalia.com), a cultural association born in Milan in 2007, with headquarters in Milan and Parma, which deals with the design, layout and organization of artistic events and exhibitions throughout the country and international. 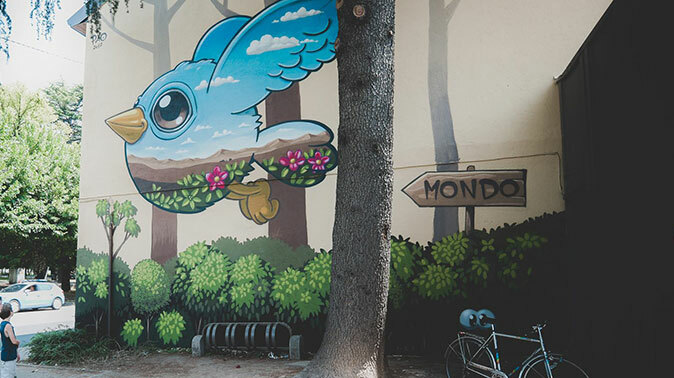 Since 2012 annually by the urban art event as part of the streetscape ComON, squares, courtyards and public places of Como. She currently teaches at the Academy of Fine Arts Aldo Galli - IED Como and at the Academy of Luxury in Milan. As a correspondent writes for the magazine Espoarte where she writes a column for New Media Art. Dario Campione was born in Palermo in 1965. After high school, he specialized in Archives and Library Science and Special Education. Professional journalist and writer, is editor of the Corriere di Como. He was author and television host. He has taught in secondary schools and was a professor of History of Advertising and Design Institute Superiore di Como Communication. Born in Genoa in 1966, he lives and works in Milan. He graduated in Pictorial Decoration at the 'State School' Arte of Chiavari (Ge) and Stage Design at the Academy of Fine Arts of Brera, Milan. Between 1989 and 1992 he worked for several Italian magazines as an illustrator and attended the Disney Academy. Until 2002 and frescoes decorate the interiors and exteriors of churches and palaces reinterpreting the styles of the great baroque decoration. In later years he participated in numerous exhibitions receiving excellent reviews. Since October of 2015 he holds the chair of Painting Techniques at the 'Academy of Fine Arts Aldo Galli of Como. Was born in Como in February 1972. The first judgment on his artistic activities is provided in the school report withdrawn from the mother, in first grade, in June of 1978: "outstanding artistic skills in the design and representation." These short words he score the training course that will bring his parents to enroll him in 1987 at the Art School A. Frattini of Varese, where, as a young student, passionately attended courses and workshops of Painting and Sculpture of the masters of Art Piero Cicoli , Segio Fiucci and Ermanno Cristini. The passion for drawing and artistic sensibility, lead him to the discovery and knowledge of numerous representation techniques such as Acrylic Painting, Engraving, the Screen Printing and Lithography. They will become for him an integral part of her work and valuable wealth of experience in the following years. She attended the School of Architecture at the Politecnico di Milano. Always passionate about Travel and Mountain, decides to carry out his thesis at the E.A.G., Ecole d'Architecture de Grenoble, France. Ivan Quaroni was born in Milan in 1970, but grew intellectually, emotionally and spiritually in the climate postmodern eighties. He studied Art History at the State University of Milan, but is fatally committed to devour books of all kinds and to listen to records of the Smiths, so his course of study ends up looking like a long, indigestible Bildungsroman. His first article, written by an obscure comic magazine, is an avid excursion into vampiric nineteenth-century literature. Become a freelance journalist writing for Art, Literature and Cinema, and then began his short but incredible adventure in the newsrooms of TV and radio programs of RAI and Mediaset. He works for Claudio Cecchetto for the preparation of the program live at 9 and 99 of the Hit Parade in historic Rai studios in Corso Sempione in Milan. Meanwhile, he continues its critical business writing for important Italian and international artists, including Allen Jones, Ronnie Cutrone, Ben Patterson, Gary Baseman, Clayton Brothers, Victor Vasarely, Alberto Biasi, Paolo Icaro, Safe, Archangel, Marco Lodola. Mr. Savethewall Como is an artist who acts according to the method of the drift and the Situationist détournement to propose works that interpret themes and customs of contemporary society in a playful or polemical, ironic or irreverent. A "deconstruction and reconstruction of the linguistic codes" that Mr. Savethewall operates through the methods and techniques of intervention of Street Art, primarily the use of the stencil on urban derivation media and consumer electronics such as cardboard, wrapping paper, wood , metal, recycled material. 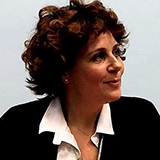 PhD in cultural geography and sociology, is currently working in the Advisory Service and the Institute for Studies il Credito Sportivo, where she conducts research and feasibility studies in the areas of Sport and Culture. Specializing in marketing and communication working in training as a teacher in the management of cultural heritage and the master of Sole24ore Sport. She holds seminars and training courses at various public / private partnerships and Universities. Collaborates with Tecnovia, highly qualified research laboratory by MIUR with experience in the analysis, management, planning, programming of local development and enhancement of territories, Cultural identity and culture of typicality.